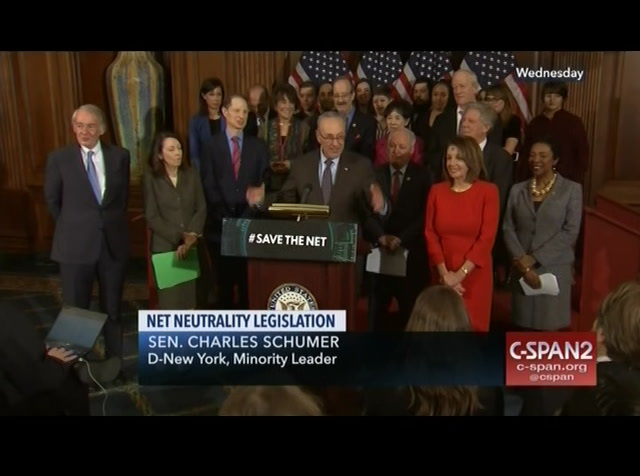 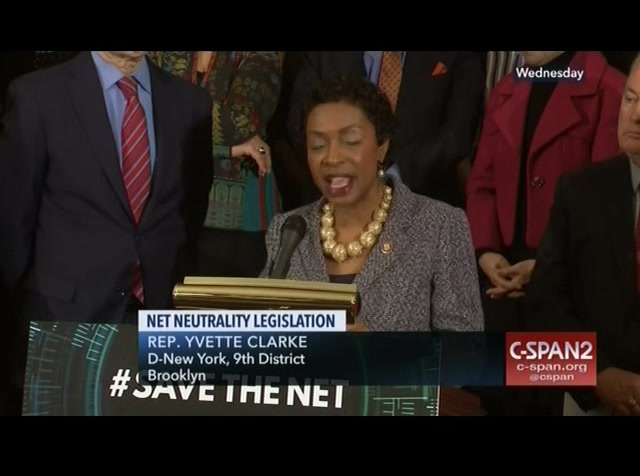 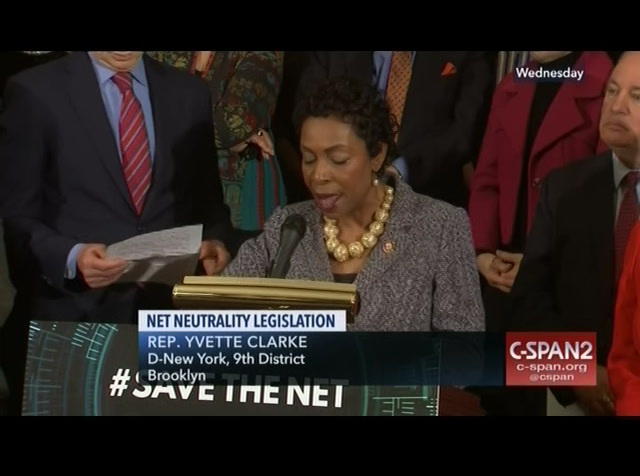 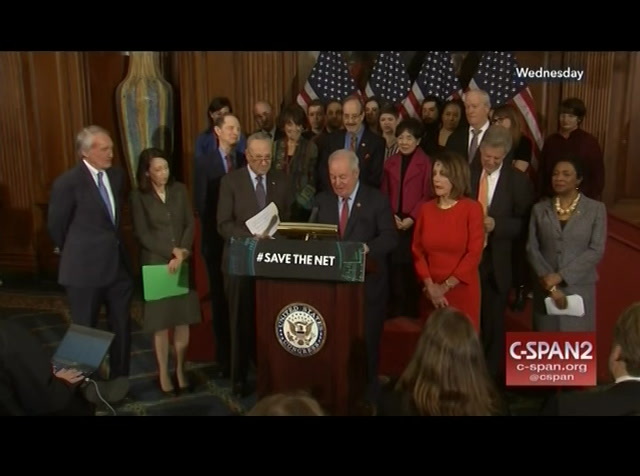 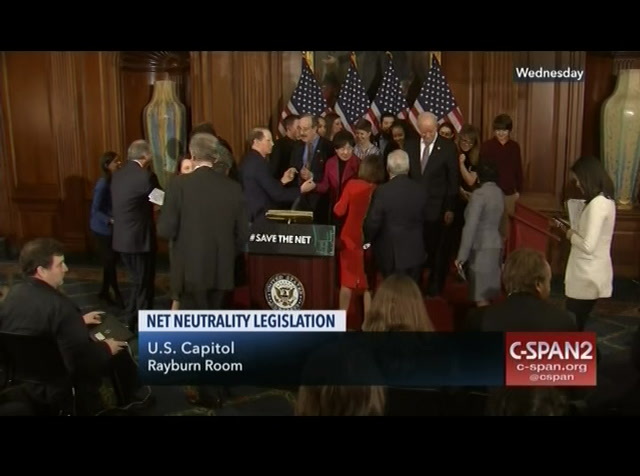 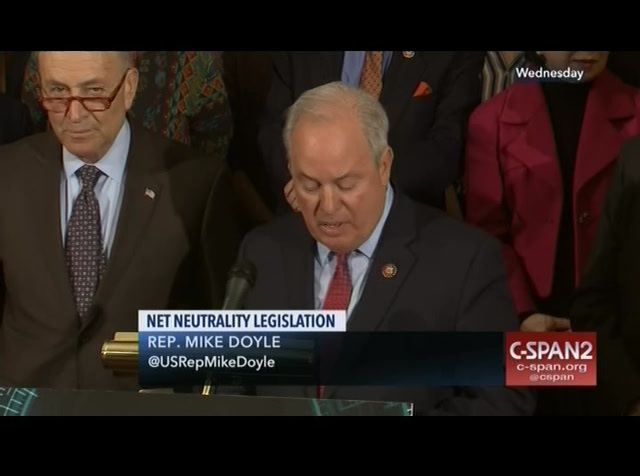 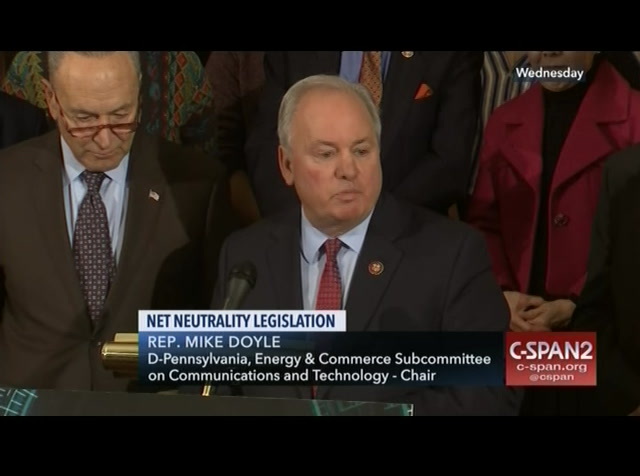 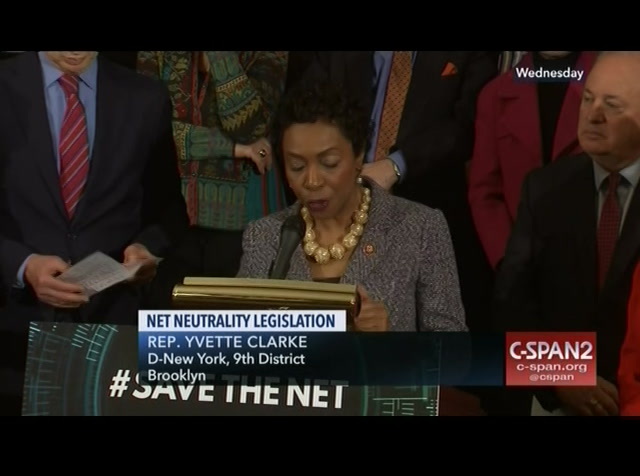 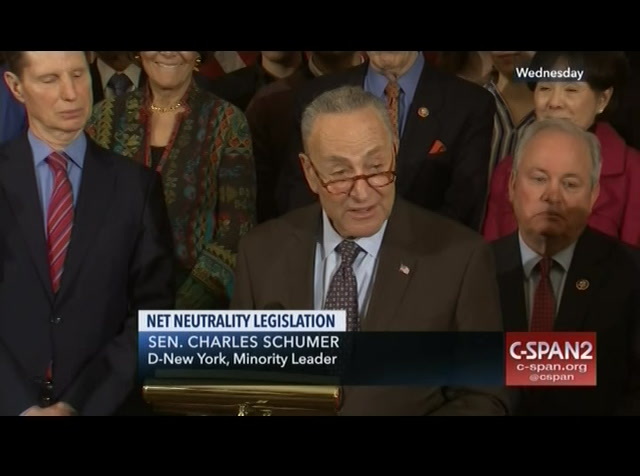 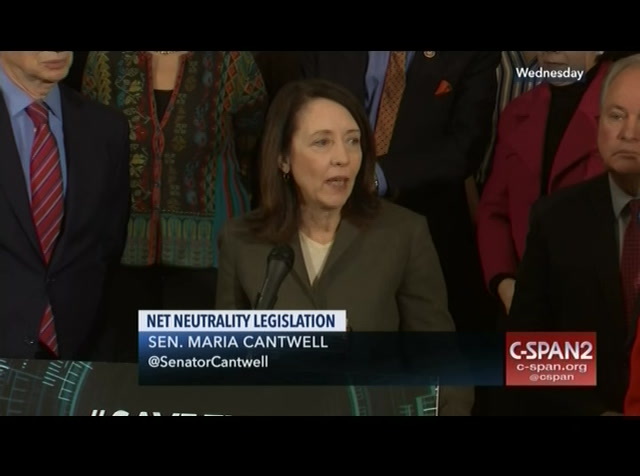 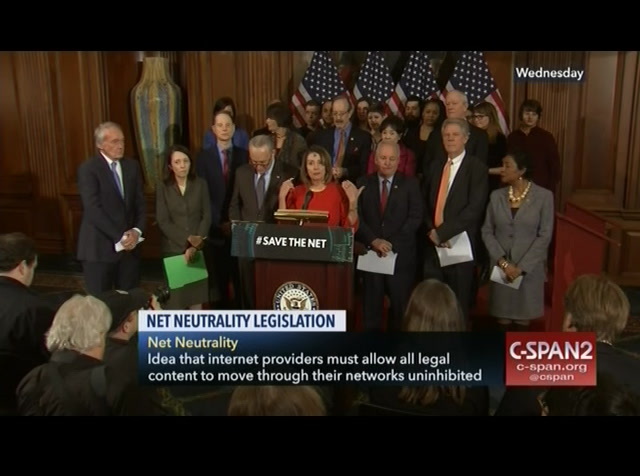 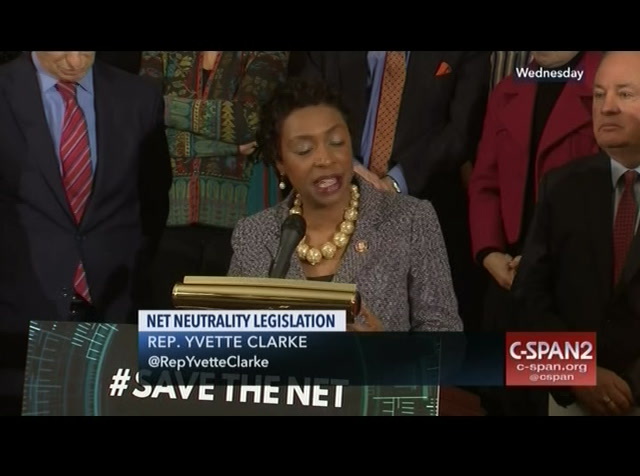 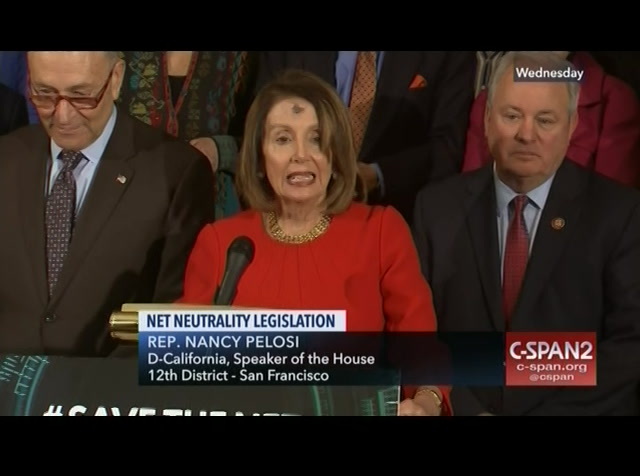 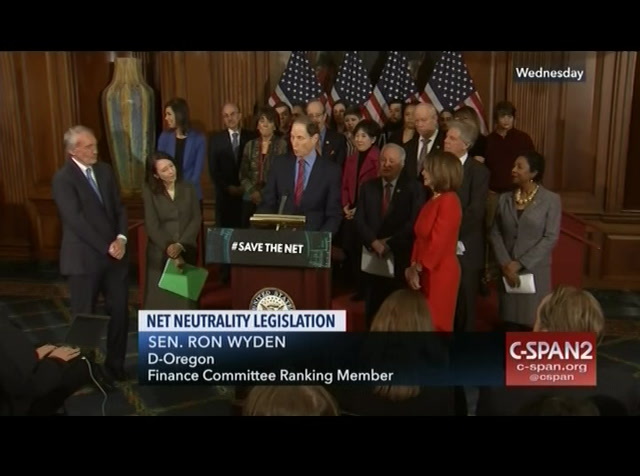 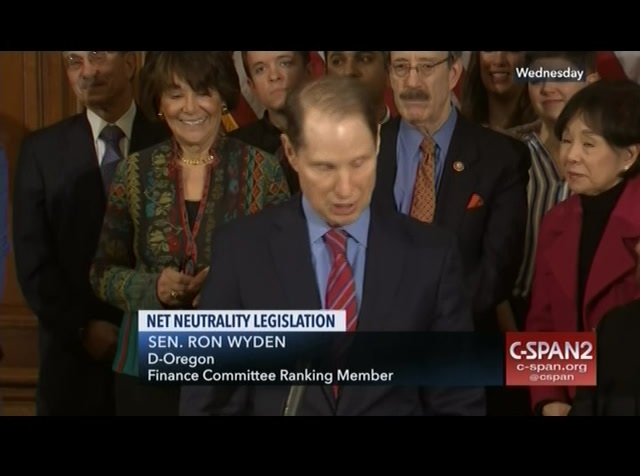 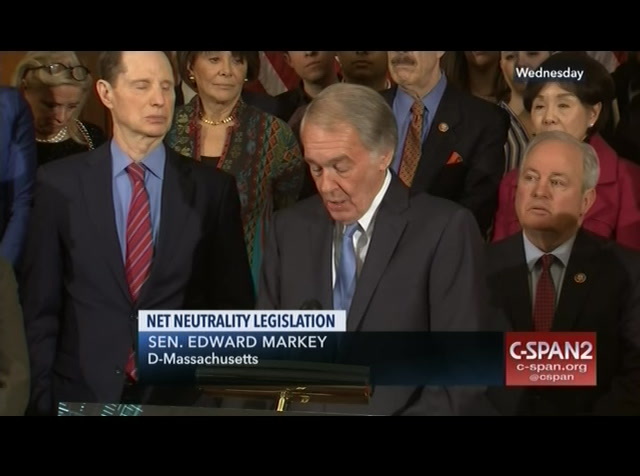 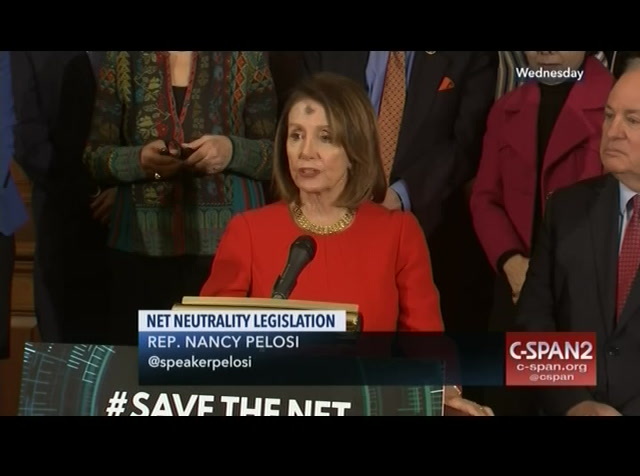 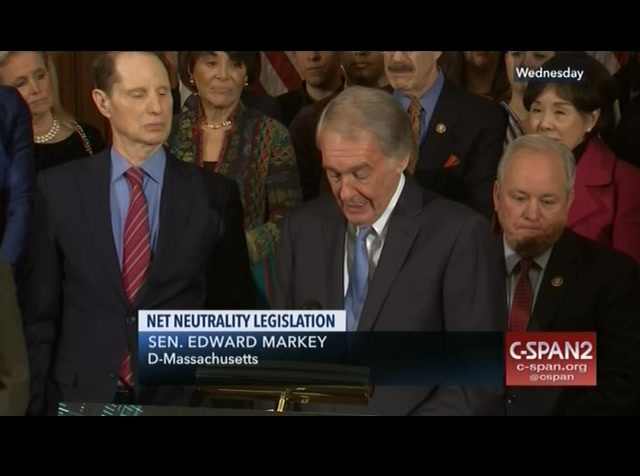 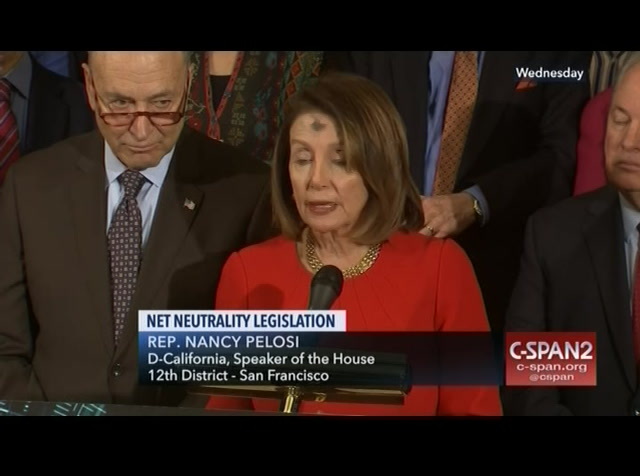 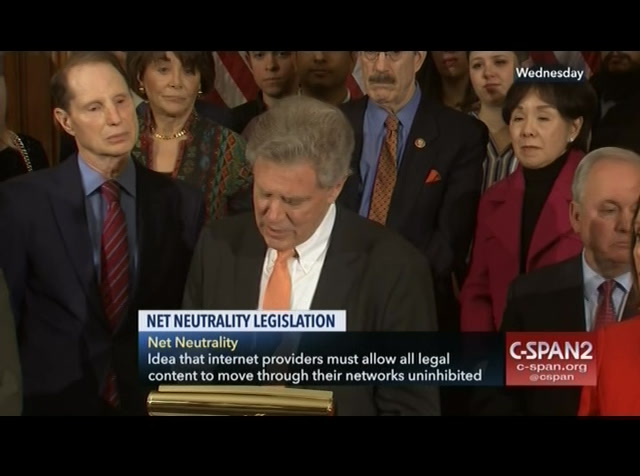 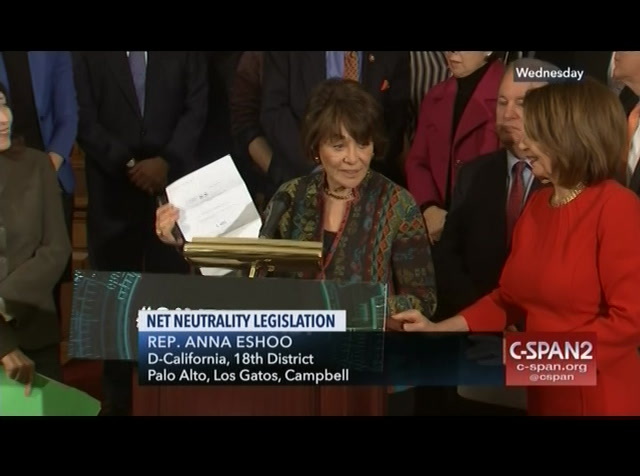 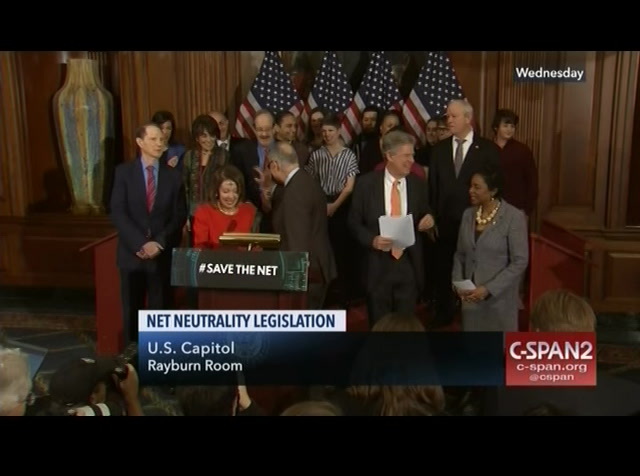 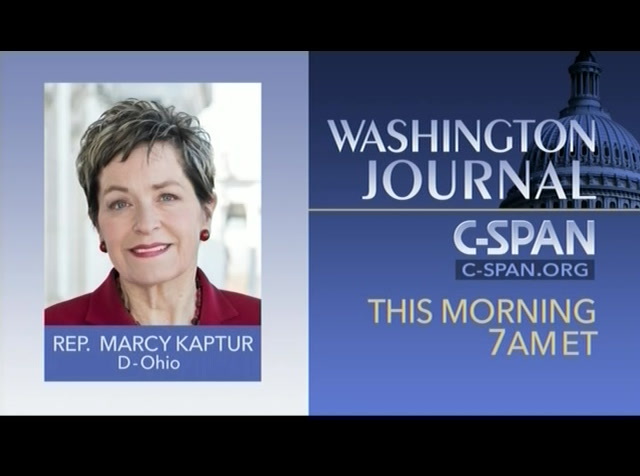 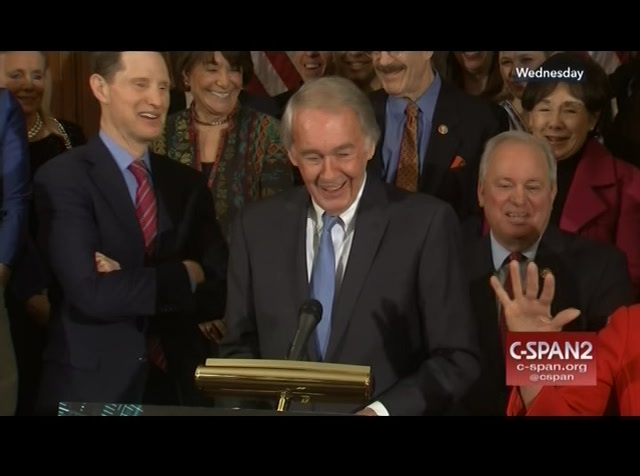 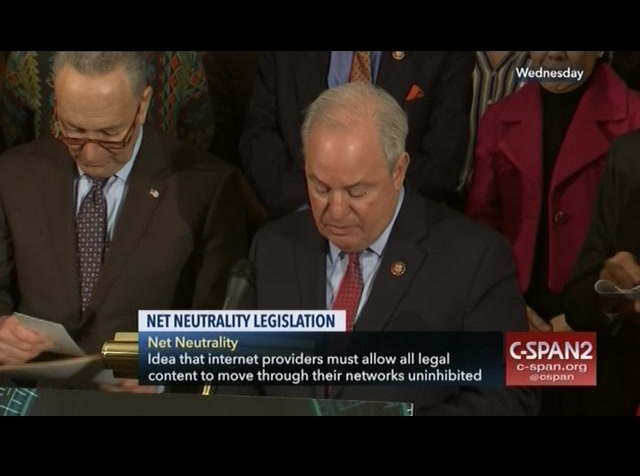 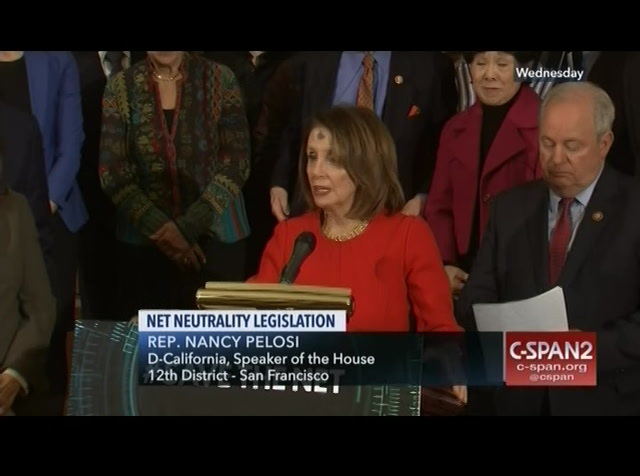 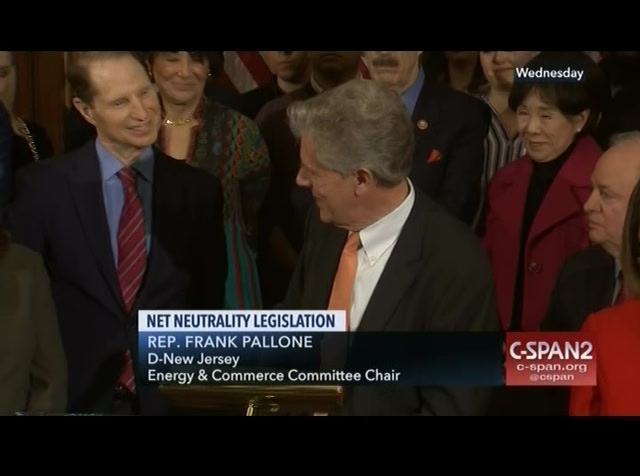 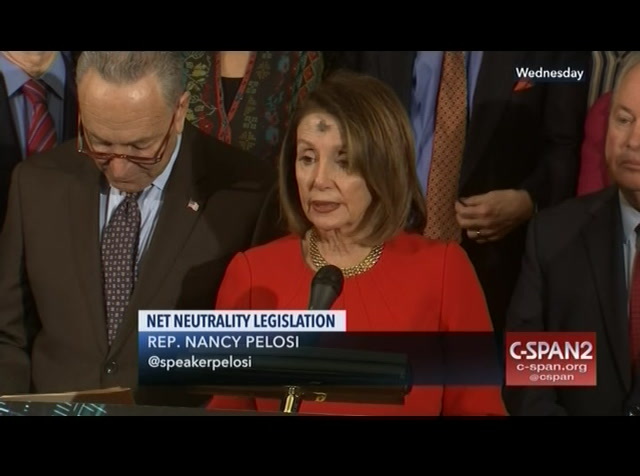 House and Senate Democratic leaders held a press conference on Capitol Hill to unveil legislation aimed at restoring net neutrality rules. 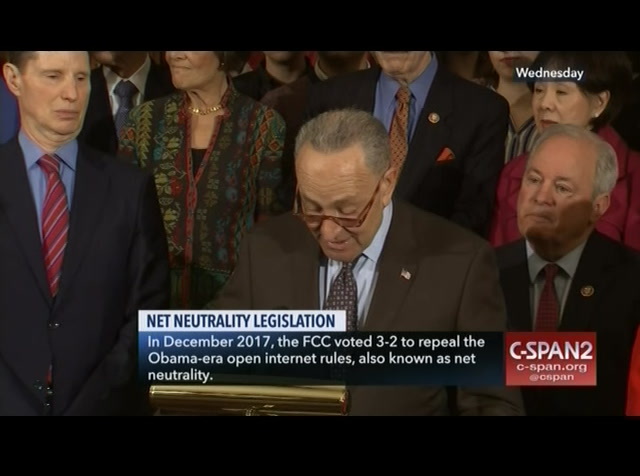 In December 2017, the FCC voted 3-2 to repeal the Obama-era open internet rules established in 2015. 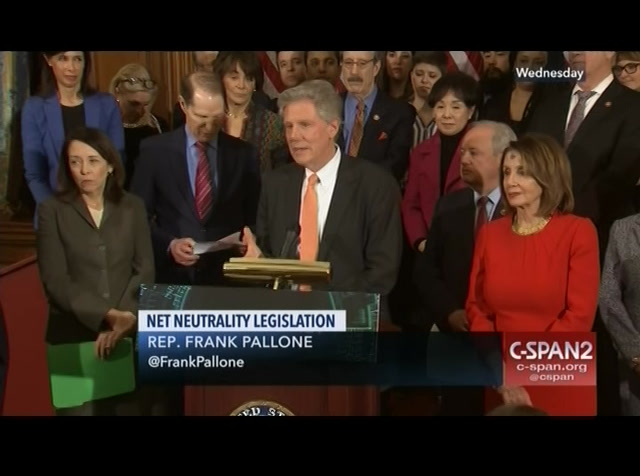 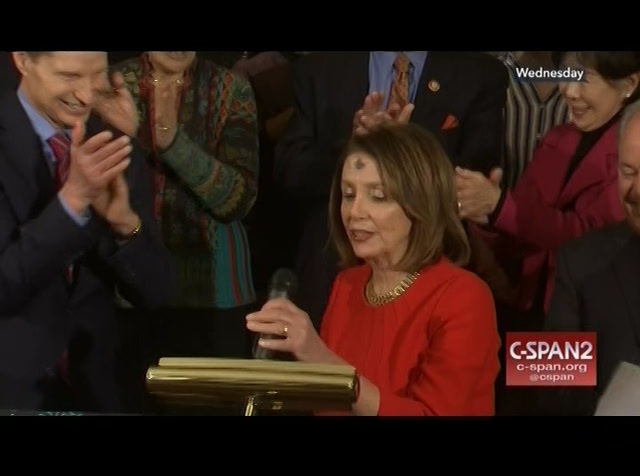 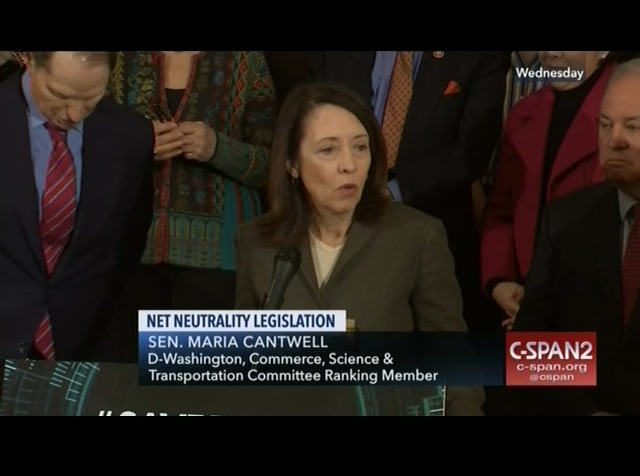 Among the speakers were Senate Minority Leader Chuck Schumer (D-NY), House Speaker Nancy Pelosi (D-CA), House Energy and Commerce Committee Chair Frank Pallone (D-NJ) and Senate Commerce, Science and Transportation Committee Ranking Member Maria Cantwell (D-WA).